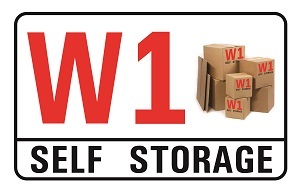 The only self storage facility located in the heart of the West End of London W1. Minutes from Marylebone , Soho, Mayfair, Oxford Street and Harley Street. Totally secure with 24 hr CCTV, dry units and a great customer experience from a family business. Located inside Q Parks Harley St Car Park you will benefit form 1 hour free parking whenever you visit the car park. Business and personal storage. Our current customers include Innocent Drinks, Time Out and Canada Goose Clothing as well as event companies, medical record storage and many local residents who use our facility as the spare box room they couldn't afford to have within their own homes. Space in Central London is so important, don't let excess files, equipment you don't use all the time, baby items, bikes or anything else get in the way of your valuable space. Friendly reception open 7 days a week. At W1 Self Storage you are the only person with access to your unit as you use your own padlock. We have a full range of unit sizes from 10 sqft lockers up to 600 sqft units and everything inbetween. Ranging from £16.50 pw to £550 pw. Student Discounts available and long term contract deals available .